Ever thought you were doing things backwards? Upside down? Inside out? 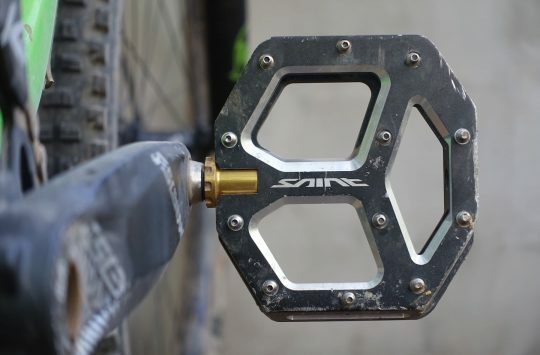 It’s a pedal that the company calls the Freection (best pronounced with a Maxwell Smart-style Italian accent). Basically what it does is invert the standard pedal design. 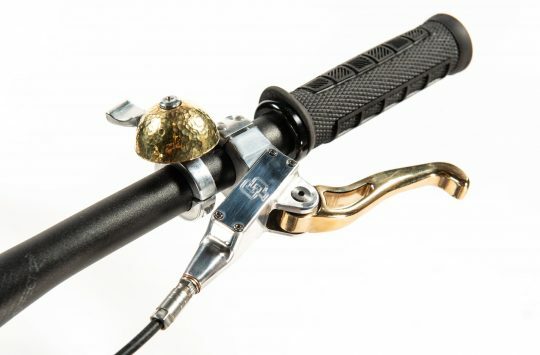 The pedal uses a steel spindle and axle-supporting bearings as normal, as well as an alloy body. 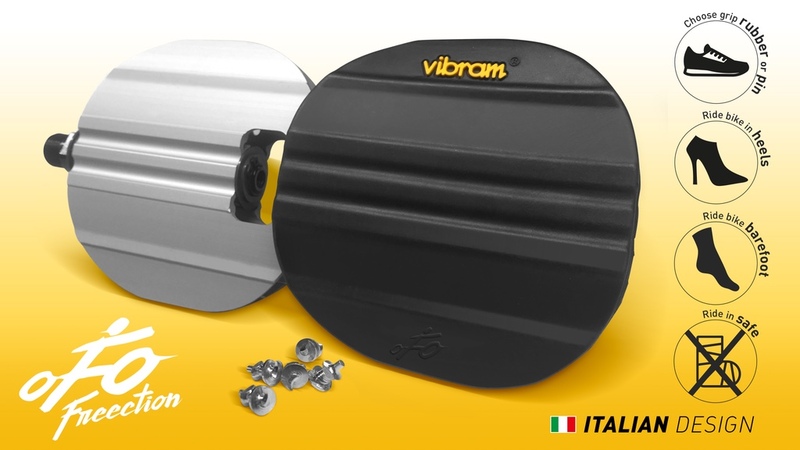 But rather than machine in a textured surface into the alloy pedal body, the Freection pedal wraps it with a sticky Vibram rubber panel on each side. At this point, you can use the Freection pedal with regular shoes for urban and casual riding. But what about mountain biking? Well, that’s where things get interesting. 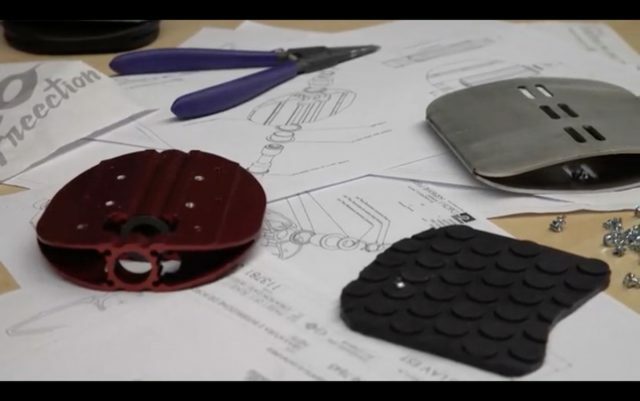 Without pins on the pedal body, the Freection system allows you to drill pins into the soles of your shoes. Yes, it’s as simple as that. Want more traction? Just screw more pins into the base of your shoes. Need less traction? Errm…remove some of the pins we guess? Anywho, this really does seem like a product that’s oriented more towards the commuter market. The platform doesn’t look particularly big, and crucially, it’s convex in shape. But then again, the below video from Freection has some sweet trail-shredding action in it, so who are we to argue? Wanna learn more about it? Head to the Freection Kickstarter page. 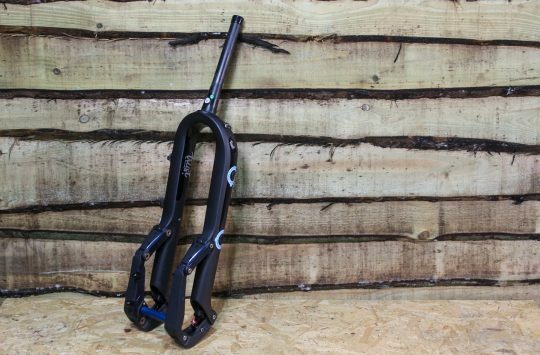 Want David Hayward to review a set of these just like the MagLock Pedals that ruined his love for mountain biking? Give us your vote in the comments section below! Ha! Was just talking about this idea on the forum. That is totally my idea! I mentioned it a couple of times in invention threads on the forum over the last couple of years. I await my fat royalty cheque! If anyone walked across our wooden floor with those shoes on they would get murdered. don’t worry, they’d slip and crack their head open on the front doorstep before they made it into the house. Id like David to review these. Especially id like to know if they are suitable pedals for jumping through hoops of fire. Could you accommodate this? Definitely worth reviewing, be nice not to extend the current tally of scars on my shins. I wonder how secure the pins in the shoe soles will be. Wouldn’t want to try them in the wet, especially without pins. Mind you I’d think the pins might make the shoes even more leaky. worst idea ever. don’t bother reviewing. who wants to walk around in a pair of f***ed up shoes? that’s the beauty of flats – not having to ponce around gingerly like a faux roadie when stopping for an espresso. is this a holdover from 1.4?